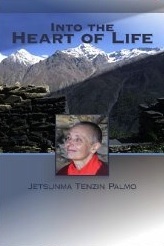 Into the Heart of Life by Jetsunma Tenzin Palmo is a beautiful and straightforward set of teachings based on talks given by the author in her many years as a Tibetan Buddhist nun and teacher. Tenzin Palmo was born in London in 1943, and became one of the first Western women to be ordained as a Tibetan Buddhist nun. She first became known to Westerners through the book Cave in the Snow by Vicki Mackenzie, which chronicled her 12 years living in a remote cave in the Himalayas, the last three of which were spent in strict meditation retreat. Into the Heart of Life is adapted from talks given by Tenzin Palmo in the years since she left her cave in 1988. All proceeds from the book go to the Dongyu Gatsal Ning Nunnery, which she founded and runs, in order to offer Tibetan nuns the same access to study and higher teachings that monks typically have. The book is organized into nine topics, each delivering to-the-point teachings on a topic central to Tibetan Buddhist practice: Impermanence, Karma, or Cause and Effect, Creating Happiness, The Eight Worldly Concerns, Renunciation, The Six Perfections, Lojong and Bodhicitta, Faith and Devotion and Practicing the Good Heart. "True security only comes from comfort with insecurity. If we are at ease with the flow of things, if we are at ease with being insecure, then that is the greatest security, because nothing can throw us off balance. As long as we try to solidify, to stop the flow of the water, to dam it up, to keep things just the way they are because it makes us feel safe and protected, we're in trouble. That attitude goes right against the whole flow of life." "We have to know how to hold things lightly, and with joy. This enables us to be open to the flow of life. When we solidify, we lose so much. Engaged in a relationship with our partner, our children, and with others in this world, we may solidify them by casting them in certain roles. That's how we see them. And after a while, we no longer experience the real person in the moment." "Egoism can easily take hold of our spiritual practice. We may study the Dharma, do practices, and go to teachings and retreats, but all can become means to enhance this sense of I: I am a spiritual person; I have read so many Buddhist books; I have met all the best lamas; I have received all the main empowerments; I do important things at my Dharma center; I am special. It really is up to us to question and honestly look at our mind." 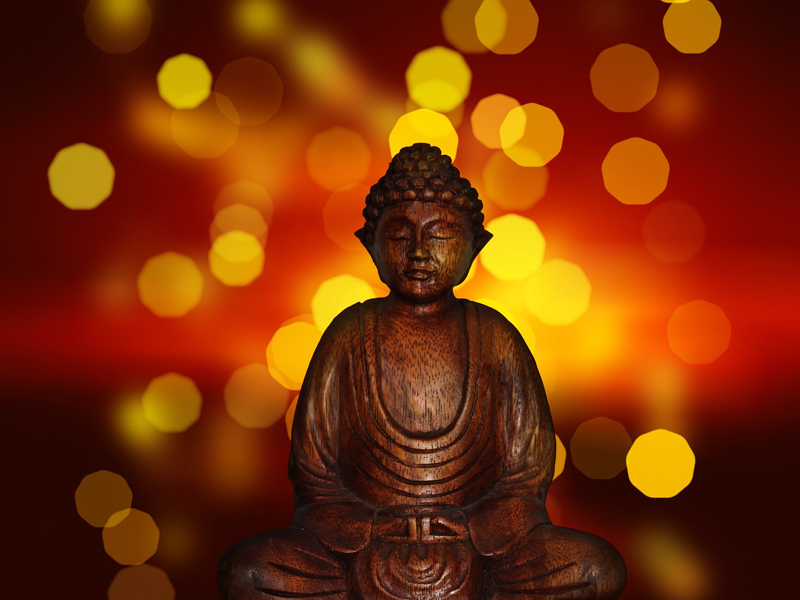 Into the Heart of Life isn't a formal introduction to Buddhism in that it isn't organized in a linear fashion beginning with the Buddha's life story or the Four Noble Truths. But because Tenzin Palmo speaks in such an accessible manner, someone new to Buddhism could definitely read it and benefit from its' wisdom. Those interested in Tibetan Buddhism will particularly appreciate the chapter on Lojong (mind training) and Boddhicitta. Jetsunma Tenzi Palmo is truly a treasure amongst contemporary teachers, and both her books and continued work to help nuns gain access to higher teachings is a gift to the world of Buddhism.